1945. Drama. Directed by Leslie Arliss. 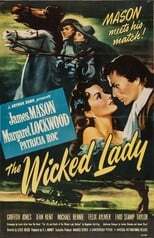 Stars Margaret Lockwood, Griffith Jones & James Mason. 17th Century beauty Barbara Worth leads a double life to relieve her boredom.